To investigate temperament as an early risk marker for autism spectrum disorder (ASD), we examined parent-reported temperament for high-risk (HR, n = 170) and low-risk (LR, n = 77) siblings at 8, 14, and 24 months. Diagnostic assessment was performed at 36 months. Group-based analyses showed linear risk gradients, with more atypical temperament for HR-ASD, followed by HR-Atypical, HR-Typical, and LR siblings. Temperament differed significantly between outcome groups (0.03 ≤ ηp2 ≤ 0.34). 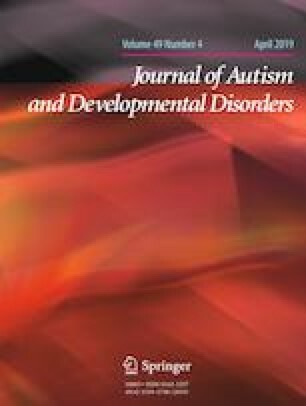 Machine learning analyses showed that, at an individual level, HR-ASD siblings could not be identified accurately, whereas HR infants without ASD could. Our results emphasize the discrepancy between group-based and individual-based predictions and suggest that while temperament does not facilitate early identification of ASD individually, it may help identify HR infants who do not develop ASD. The members of The BASIS Team are listed in Acknowledgments. The online version of this article ( https://doi.org/10.1007/s10803-018-3855-8) contains supplementary material, which is available to authorized users. The data included in this study were collected by the British Autism Study of Infant Siblings (BASIS, http://www.basisnetwork.org) project as part of a larger study. We gratefully thank all parents and children who participated in this study. The research leading to these results received support from MRC Programme grants (G0701484 and MR/K021389/1) to MHJ, and the BASIS funding consortium led by Autistica. This research has also received funding from the Innovative Medicines Initiative Joint Undertaking under grant agreement number 115300 (EU-AIMS), resources of which are composed of financial contribution from the European Union’s Seventh Framework Programme (FP7/2007–2013) and the European Federation of Pharmaceutical Industries and Associations (EFPIA) companies’ in kind contribution. The research was further supported by the Marie Sklodowska Curie Actions of the European Community’s Horizon 2020 Program under grant agreement n°642996 (Brainview). The BASIS Team in alphabetical order: Phase 1: Baron-Cohen, S., Bedford, R., Bolton, P., Chandler, S., Elsabbagh, M., Fernandes, J., Garwood, H., Gliga, T., Hudry, K., Pickles, A., Tucker, L., Volein, A.; Phase 2: Baron-Cohen, S., Bedford, R., Bolton, P., Blasi, A., Cheung, C., Davies, K., Elsabbagh, M., Fernandes, J., Gammer, I., Gliga, T., Guiraud, J., Liew, M., Lloyd-Fox, S., M.H., Maris, H., O’Hara, L., Pickles, A., Ribeiro, H., Salomone, E., Tucker, L.
TC, MHJ, and EJHJ designed the study leading to the data included in the current work, and developed acquisition protocols. Data were collected from the BASIS team. GP was involved in data collection and processing. MKJP performed statistical analysis, interpreted data, and drafted the first and final version of the manuscript. GB performed statistical analysis and interpretation for individual prediction. JKB, NNJR, and IJO helped data interpretation. All authors read and approved the final version. All procedures performed in this study involving human participants were in accordance with the ethical standards of the institutional and/or national research committee and with the 1964 Helsinki declaration and its later amendments or comparable ethical standards.